When you consider the financial and human risks posed by a translation error, you’ll realize that it’s only logical to choose a certified language service provider. 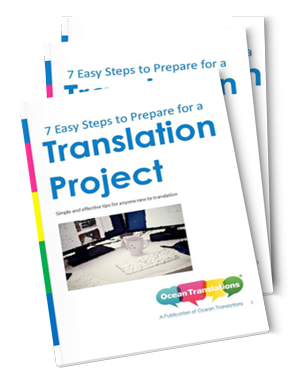 Attention to detail and systematic definition of processes ultimately have a major impact on the quality of a translation. But what guarantees the certification of quality? Being certified as compliant with ISO 9001:2008 is no longer a competitive advantage. It has become a necessity. It is an absolutely essential tool if you’re going to compete on the international market. We’re not going to talk about guidelines for complying with—and staying in compliance with—ISO 9001:2008 (the list would be endless). To the contrary, we’re going to look at our experience implementing it and the day-to-day operations of a certified agency. The time and effort spent setting up and keeping up the necessary processes aren’t an expense, they’re an investment. Implementing a Quality Management System (QMS) is an arduous and often tedious process. But every minute we spent working with this norm was worth it, and those efforts are now paying dividends. Before explaining what we do and how we do it, it is essential that we convince our partners, if we have any, that working within this standard is the right choice. 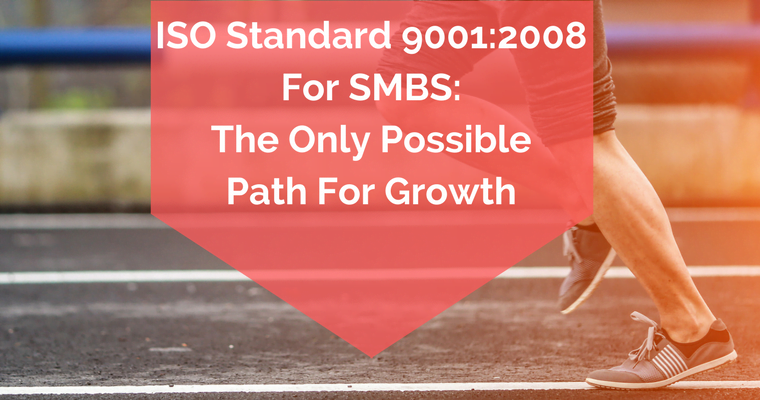 But to be completely honest, this standard is the only viable option if you want your SMB to grow. It is essential that the entire organization, from the most highly-trained employee to the intern who is taking her first professional steps, be involved in the project. This is especially key when the standard has already been implemented because the team as a whole must keep an eye on the system to ensure that it remains effective and continues to operate properly. The standard explains how to move forward with a process and what data to include in instructions. In exchange, it requires us to “write what we do and do what we write.” This means, in no uncertain terms, shifting from an oral to a written culture, which entails myriad advantages for the development of the company. That said, these advantages aren’t always clear at the outset—they often only become clear once the QMS is up and running. Less training time: conveying know-how is much simpler since procedures and instructions are written out and easy to find. • Traceability: information is carefully stored and labeled until it’s ready for use, so its functionality is preserved and its accessibility is ensured. • Dependability: the most common processes are standardized, so you can be sure you’ll get the same result every time. • Root-cause analysis: a key tool for QMS. It enables us to research why an error or problem occurred, or why a given process wasn’t followed until we can get to the root of the problem, correct it, and take preventive measures. Finally, we recommend that businesses and organizations who want to implement a QMS do so in collaboration with a specialized and well-reputed consultant. Their assistance will be of critical importance before the initial certification. Having a QMS does not guarantee success. For any translation agency (in Argentina or elsewhere), having a certification and well-defined processes isn’t enough. You need to improve. The quest for excellence must be a common, daily practice. Every member of the team, beginning with management, must set an example, motive and encourage others, and do everything they can to protect quality. Curiously enough, this isn’t something that a QMS can measure or monitor. Symbolically speaking, good practices must be raised like rock-solid columns that strengthen and ensure success in any sort of project, large or small. A QMS isn’t synonymous with assured success, but it provides that strength and motivation necessary for achieving it. Previous PostWhy Do We Need Up To Three Linguists To Translate Your Monthly Technical Reports? ISOis a flexible standard that lays down requirements for an organization to follow, but allows the organization to fulfill these requirements any way they choose. Система менеджмента качества по ISO 9001 позволяет предприятиям выйти на новый конкурентоспособный уровень.